In addition, we have invited our UC Police Department to share information about their work and neighborhood safety. We invite you to attend and learn more about these and other projects on our Parnassus Heights campus. 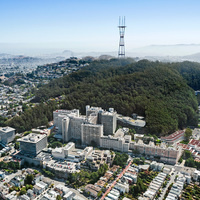 If you would like to be on our email notification list, please email community@cgr.ucsf.edu, specifying the campus site(s) of interest: Parnassus Heights, Mission Bay, Mount Sutro, Mount Zion, Zuckerberg San Francisco General Hospital. UCSF fully subscribes to the Americans with Disabilities Act. If at any time you feel you have a need for accommodation, please contact UCSF Community & Government Relations at 415-476-3206 or community@cgr.ucsf.edu with your suggested accommodation.